Many golf tournaments and championship held each year millions of dollars were distributed among the players who participated in the event. The winners of championship or tournament earn a good prize money from which 7% goes to his caddie who helps him during the event. The actual job of caddie is to help the golfer who hired him for his golf experienced. Caddie must known with the rules and regulations of the golf. How much money does a caddie make each year and from prize money. A former PGA tour caddie says that a golf caddie can earn upto $2,000 each week and his earnings increased. One of the example is (Steve Williams) who is caddie of Tiger woods earn ($1.26 million) during 2006. But recently in 2016, Micah Fugitt earn ($1.57 million) which include the (5-10 %) player winnings. 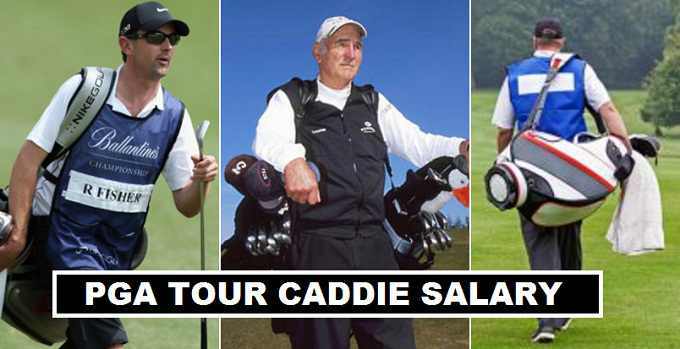 Professional caddies earn most money in a year from PGA tours in Golf. Seniors have experienced and well known with ground level changes, weather forecast, wind direction and having experience of big championship events. They earn $5,000 to $7,000 per tournament. They get paid extra bonus if the caddie wins two or three championship in a row. Micah Fugitt, J.P Fitzgerald, and Tedd Scott are currently highest paid professional golf caddies. They are young caddies recently enter in the caddie field. They get promoted or selected by the top professional golfers when they have experienced 3-4 years as golf caddie. Entry level caddie makes $500 per tournament and the maximum prize money share he gets from the golfer earnings upto ($10,000). Caddie travel with golfers in all tournaments in which they compete. They help golfers with shots directions, equipment during the championship. A good caddie have full knowledge of the weather and wind direction. The better shot ideas given by him to the golfer leads him towards the winning edge. There are couple of agreements that he made with a professional golfer specially about the salary and prize money share. A report published by (Crunchy Sports) according to them a golf caddie earn $3,000 to $5,000 per tournament. Now some sources close to golf, disclosed that when caddie tour with golfers to bigger tournaments and championship like (U.S Open, Open Championship, PGA Championship) the earnings of caddies gets double. If the golfer to whom they are supporting wins the tournament or finish in top 5 position golf caddies earn extra bonus. PGA tour golf caddie earn 7% of prize money share from the professional golfers winnings. When a golfer win the Open championship, PGA Championship or US Open his caddie earn ($40,000) from his winning share. In normal golf tours where prize money is bit low a golfer caddie make $7,000 or maximum upto $10,000 from the winning share. A golf caddie who is on a tour of PGA gets good hospitality, they get travel expenses and stay in the five star hotels. They always try to give their best advice’s to the golfers during the tournament.